iNurture is pleased to announce the latest collaboration with CMR University, Bangalore. The MoU was signed on 29 November 2018. 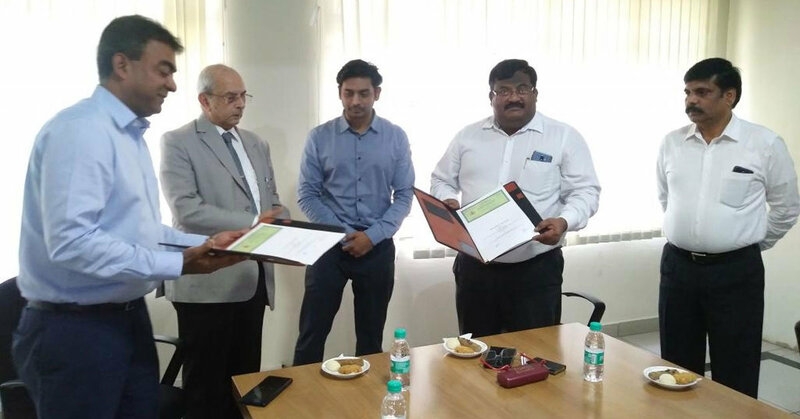 Signatories included Mr. Ashwin Ajila, CEO & MD, iNurture Education Solutions and Dr. Praveen. R, Registrar at CMR University in the presence of Vice Chancellor of CMR University, Professor M.S Shivakumar. CMR University is one of the most sought after institutions for fine education in the country and has been accredited with the NAAC A+ recognition. The university is an eminent part of CMR Group of Institutions which was formed in 1991. The association between iNurture and CMRU is set to help students across India and abroad get new-age, industry oriented education in the following courses. iNurture extends its thanks to CMRU for making this association possible in a seamless manner. We are indeed grateful to have added the university to our ever growing, illustrious list of fine educational institutions around the world.